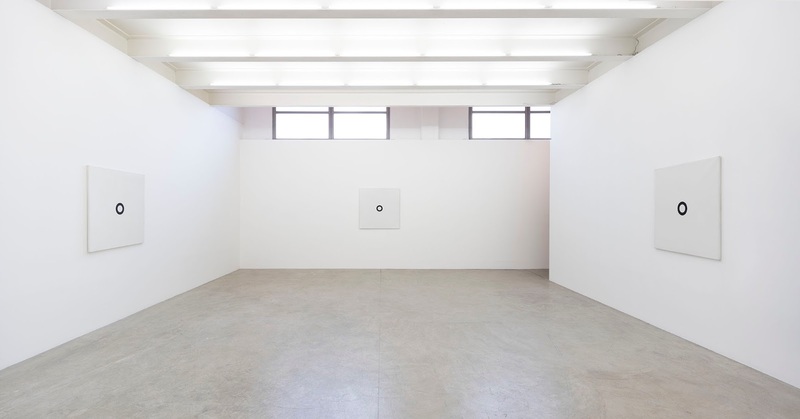 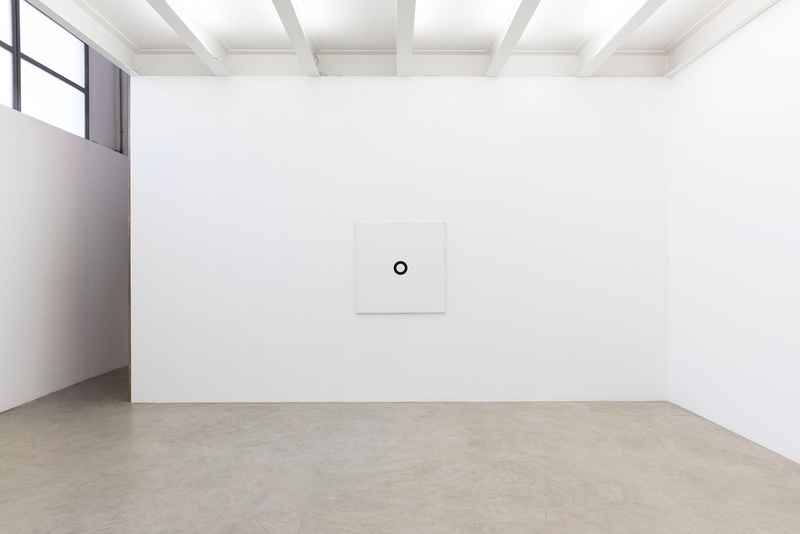 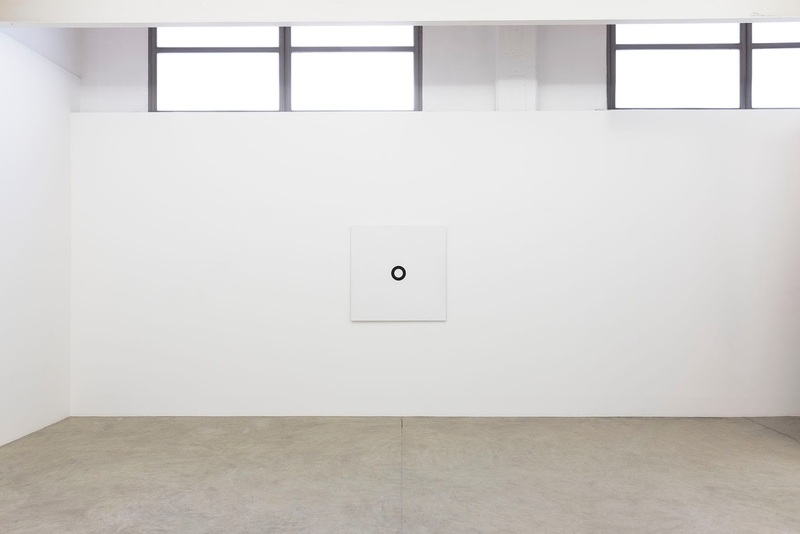 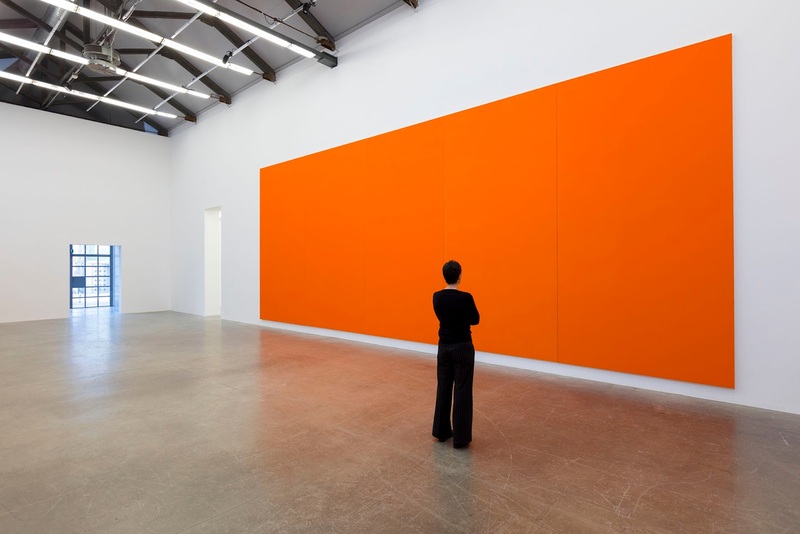 Olivier Mosset is well known for his minimalist practice that investigates conceptual abstraction through painting. 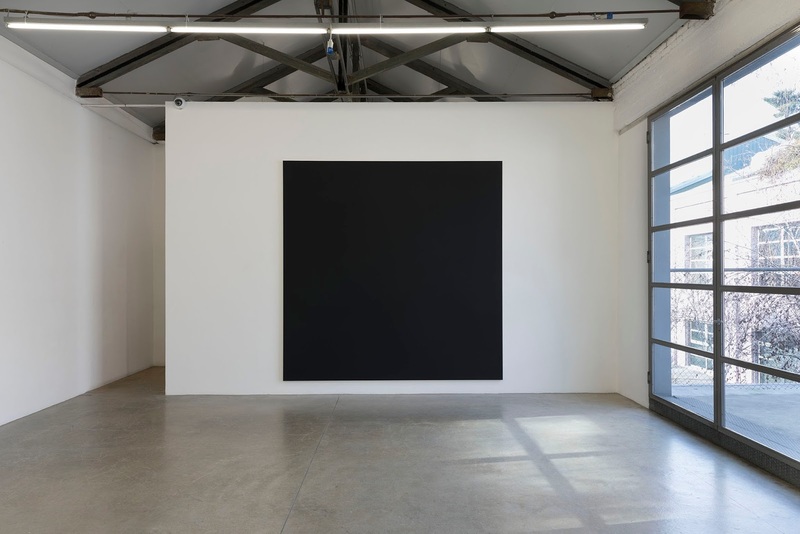 The artist explores a variety of monochrome colour blocks, surfaces, geometrical patterns, and dimensions via methodical repetition of gestures: a radical and dynamic approach to the canvas; that refuses any form of subjectivity. 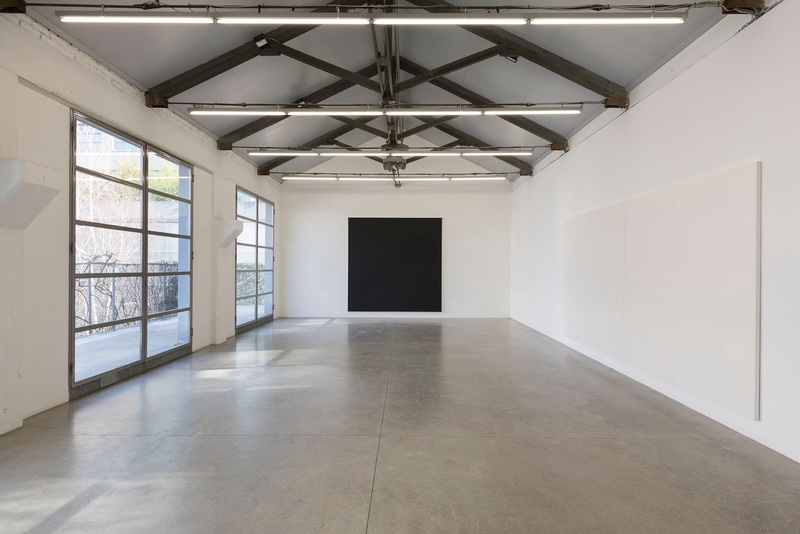 The exhibition is structured as a small retrospective, a narrative where the artist has selected a number of works from different periods of his career that allow the viewer to grasp the essence of his work from the sixties to the now. 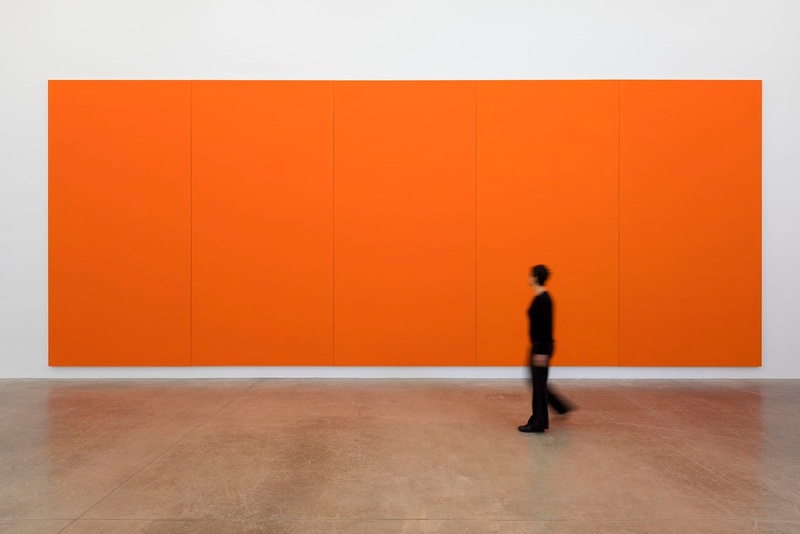 In the first room of the exhibition Olivier Mosset chose to display three monumental canvases. 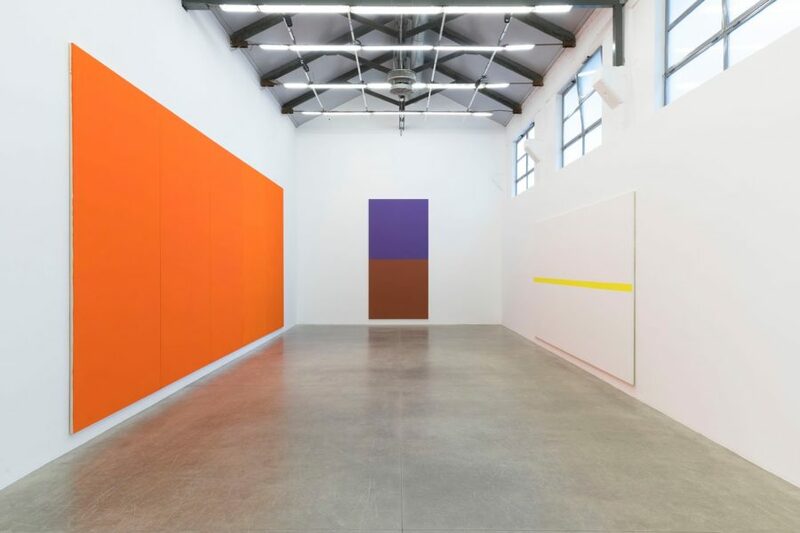 At the centre of the room there is a colossal work, composed of a purple and a red block, is a tribute to the thirty years of the artist’s collaboration with the gallery: Sun City was shown in the first exhibition by Olivier Mosset at Massimo De Carlo’s original gallery space in Milan in 1987. 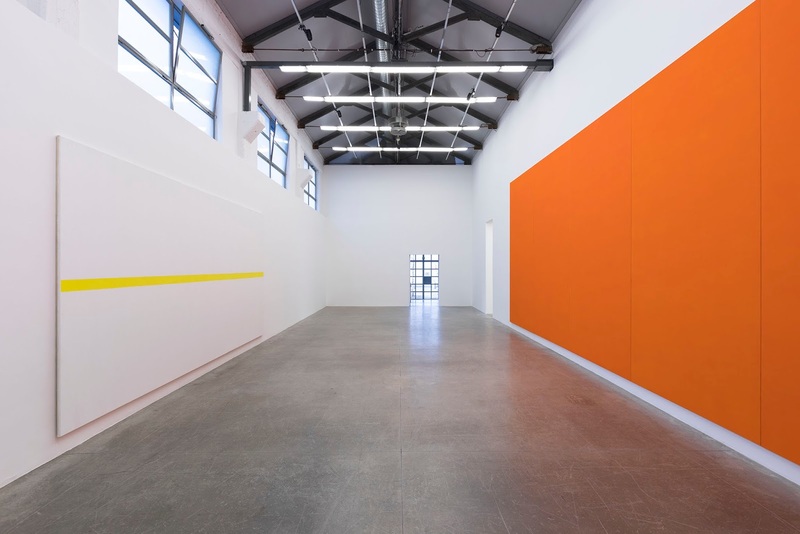 On the two side walls the viewer can engage with Mosset’s monochromes and symbolic geometries: on one side an immersive blazing large orange canvas painted in the early 2000s, on the other a lengthy white surface Patricia’s Pillow (1985), where a long bright yellow line harshly yet lightly crosses a white surface. 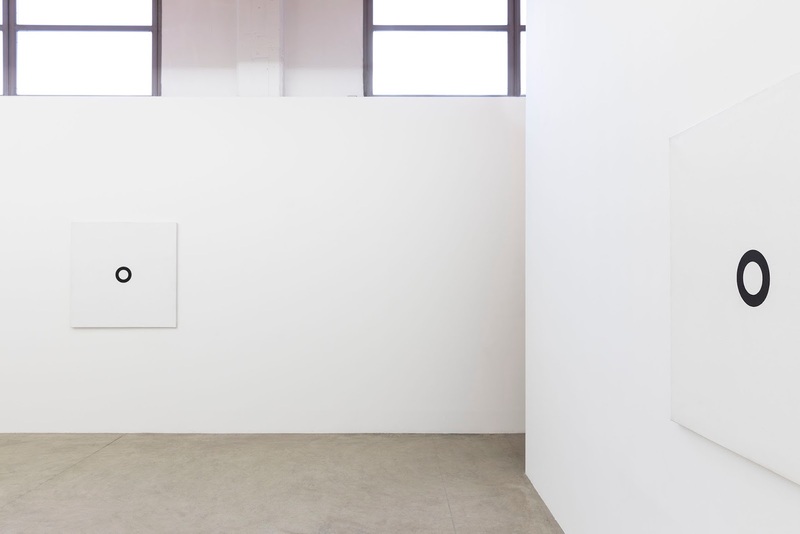 These paintings render tangible the immanent energy of Mosset’s works and his analysis of the role of the artist as creator and author. 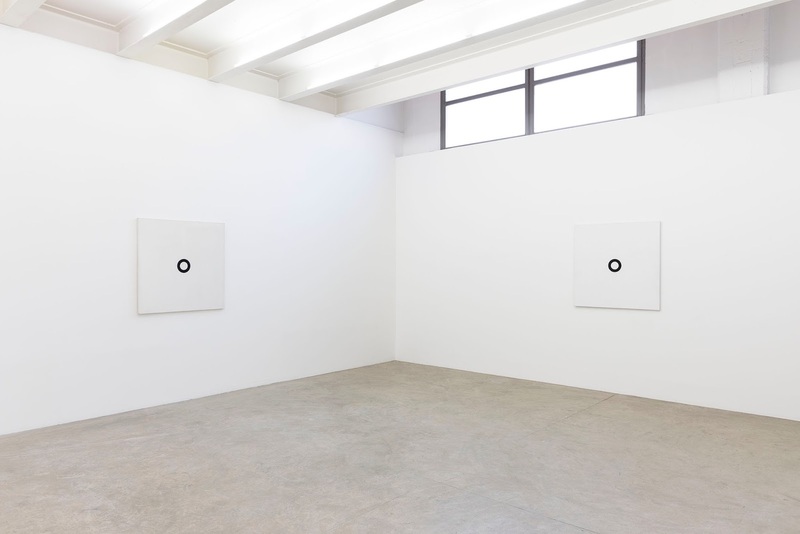 The study of the authorship of the painter and of the individuality of the artwork is strongly articulated in the second room, where there are exhibited three iconic Circle Paintings of the seventies. 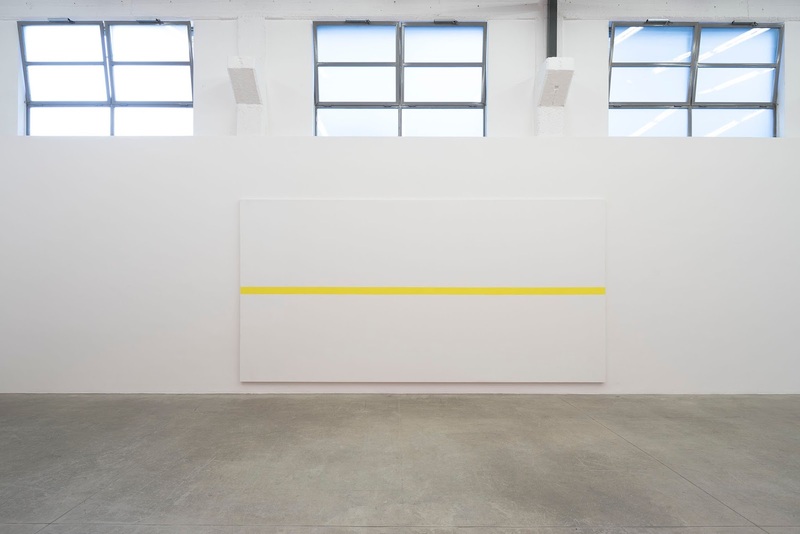 Realized during Mosset’s Parisian days – where in the second half of the sixties with Daniel Buren, Michel Parmentier and Niele Toroni, Mosset founded the minimalist collective BMPT – these paintings are part of a series of circa 200 identical canvases that Mosset produced between 1966 and 1974 and epitomize his radical approach to art making. 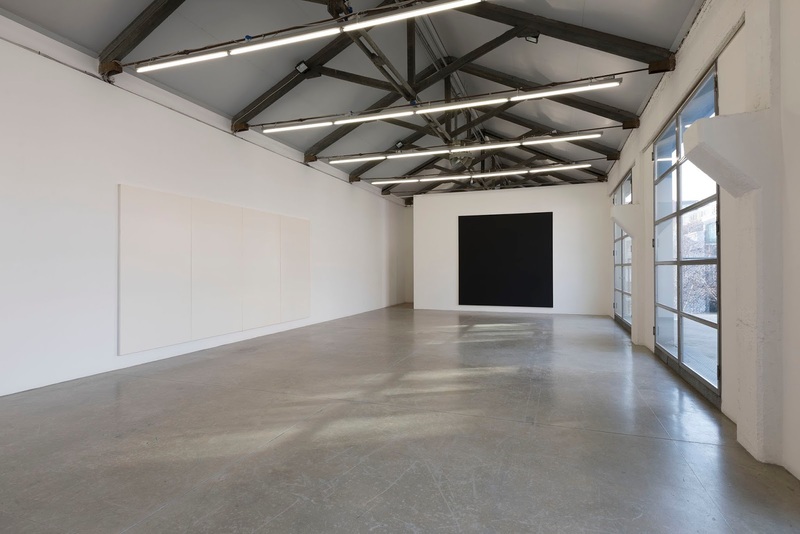 On the first floor of the gallery there are two monumental black monochrome canvases, created especially for this exhibition, shown alongside an immense white monochrome from 1999: the three works narrate and trace Olivier Mosset’s continuous exploration of the relationship between the ego and the death of the notion of author. 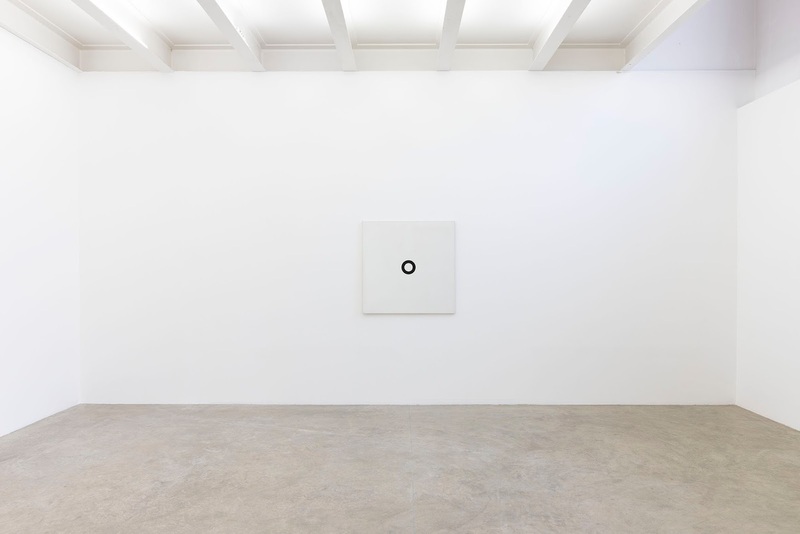 Combining playfulness with austere rigour Olivier Mosset’s practice creates auto sufficient paintings that exist for themselves. 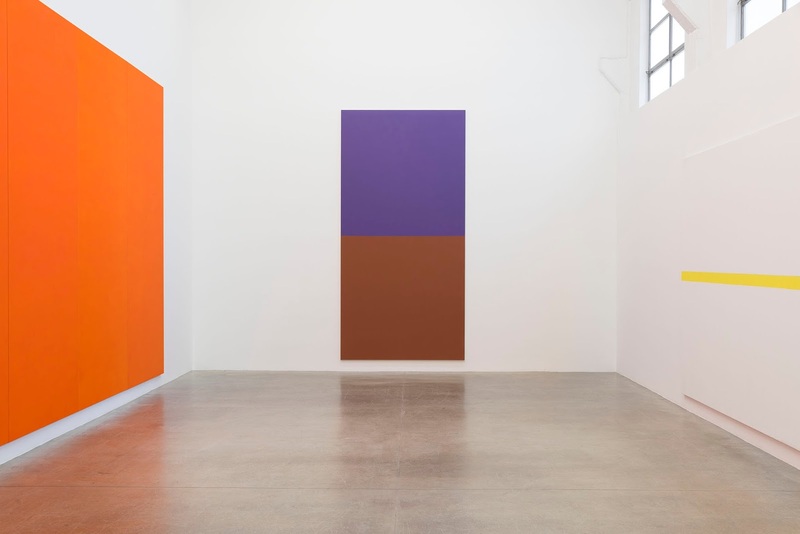 As put by Mosset himself: “The viewer can sit down for hours in front of one of these canvases, and chose to see whatever they decide that they are seeing: the abstract subject is fluctuating and mutable for the eyes of the viewer. 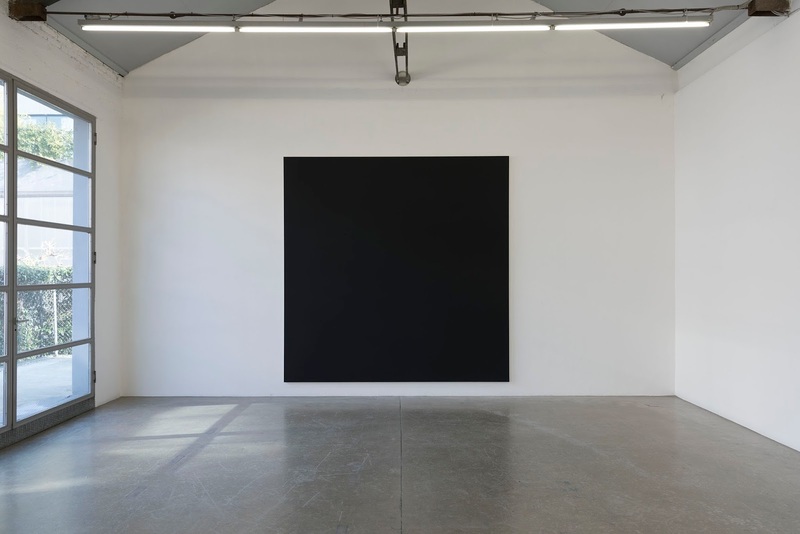 For example, once I have applied paint on a canvas I no longer see my painting but simply a painting” With this exhibition Olivier Mosset once again masters not only the painterly gesture but also the creation of unprecedented ways of seeing.